Like this post if you like Pink! Here's a cool way of facing summer... use a sheer lip gloss. Because summer isn't really the season to wear make-up, glosses can really come full circle this time of the year. I'm an avid fan of natural beauty but there's something about how a hint of lip gloss can really bring life to a flat face. 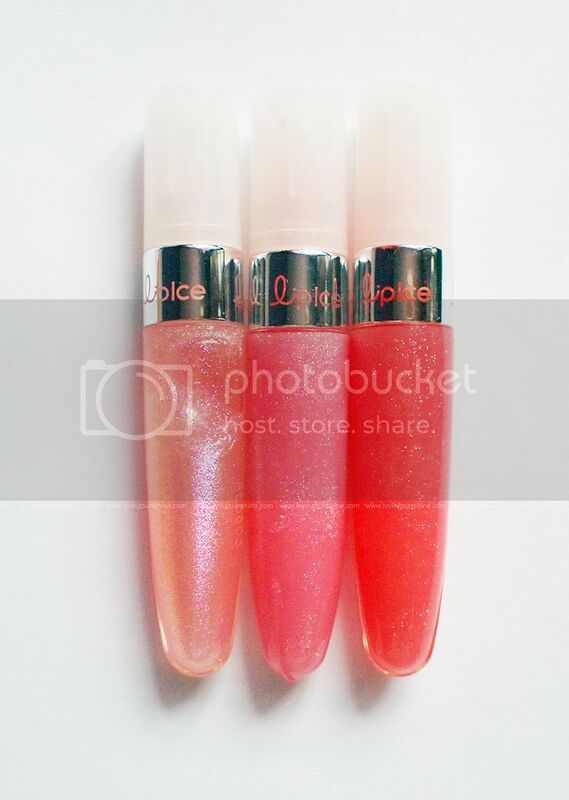 Let me share with you Lip Ice Color Gloss collection. It's very timely to talk about these products as the shades from this range are all fresh and welcoming. :) Summer Pink, to me, is the friendliest color for the lips (or any sort of make-up, really) and when it's the season to be fun and ready to mingle, you shouldn't be caught looking dull and unapproachable. Let me share with you (from L-R) Summer Pink, Candy Apple and Pearl Pink. What I love about these glossies? They're so travel-friendly. Because summer is all about soaking up some fun sun, anything that can easily fit my kikay kit is welcome in my life! Don't let the photo deceive you, these lippies are in squeeze type tubes so they are hassle-free to use--yes, I'm not a fan of glosses with wands! That packaging is the most unhygienic; even if you don't lend your gloss to anyone! 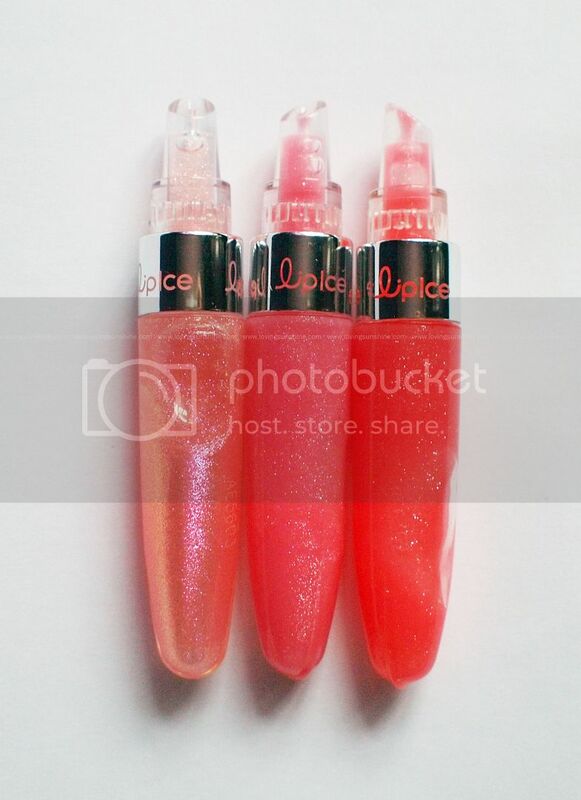 Since I bet you'd all be wearing bright and beaming colors for your clothes or accessories, it's great to know that these Lip Ice Color Glosses are sheer. Although they come in full-bodied levels of pinks, they only leave behind a subtle hint of color. In fact, being a sheer lip gloss, you would notice on my lip swatches how faint the variations in color is (if you notice one at all); but let me first share how they swatch on a white sheet of paper. Then, check out my swatches! I really appreciate that these glossies are not sticky at all; they don't feel warm on the lips and they don't leave behind an uminom ka ba ng sabaw ng adobo??? look. For my international readers, what I meant to say was, theses lip glosses don't leave behind an overwhelmingly oily film as a coat. I do appreciate glossy lips as a hint of shine makes puckers look fuller and more kissable; BUT I don't like it when some glosses overdo the shine. Using Lip Ice Color Gloss is like taking a bite off a juicy watermelon! Fresh and simple--yet sparkling! I also love that the lip gloss is simple. As much as I like extravagance in life, I appreciate simplicity at its finest. The Lip Ice Color Gloss collection has multiple lip benefits to boot! It contains Macadamia Seed Oil, Aloe Extract and Lanolin Oil to help moisturize your lips; and it has vitamin E that is rich in anti-oxidants--important to prevent aging (yes darling, your lips age too). Shimmery, subtle and sweet, I think summer's bound to be amazing this year! When you remove the cap, it'd look like this. I keep on thinking of Cinderella's glass slippers every single time! Love its clean and sleek structured packaging. 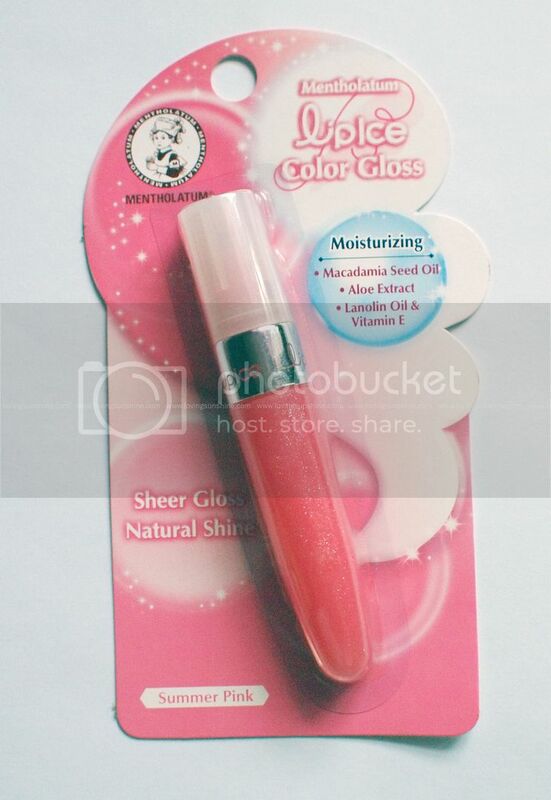 Besides being more hygienic, I prefer squeeze type lip glosses as they are more practical. Ever finished up a tube of lip gloss (with a wand)? No right? Squeezies are so much better. You might also want to try their fruity lip balms with SPF. I love that they have a grape flavored lip balms! In fact, their lip balms are all so uniquely flavored! If you're bored with the usual strawberry, check out their collection stat! they aren't. You should try them out. Summer pink looks the most sparke-ly! I really like Summer Pink myself! the packaging is so cute...but the shades all look pretty much similar.. I like Lip Ice brand since I started using their Lip conditioner early this year. A+. I stopped using my The Face Shop Lip Balm because of it. I decided to buy their gloss, which is the main topic of your post, but havent used it. I was deceived that it is a wand type. boo. Its packaging is really nice! i like it depsite of the disappointment I got. I think I should give it a try talaga.